Celine graduated in 2010 with a distinction from the MA Design for Textile Futures course at Central Saint Martins College of Art and Design, University of Arts, London. 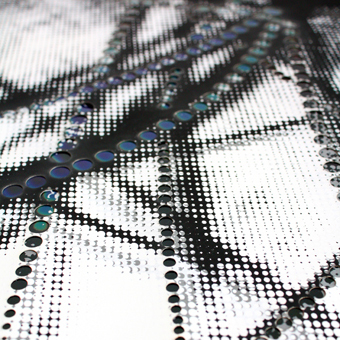 With a strong interest in interactivity, sensory design and smart materials, she firmly believes that textile design must be more than simply decorative. Her work is informed by the interaction design process, to transform a piece of material into an aesthetic and sensitive communicative platform. Encompassing both material engineering and textile design, her work seeks to explore the sensory potential of responsive surfaces as a way of altering people’s behaviour. Celine is currently working as a colour and material designer for the automotive industry meanwhile developing her own activity as a freelance material designer and researcher.